The ability to communicate --everything!" 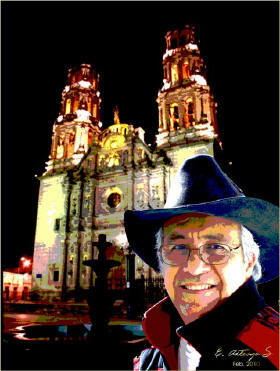 Manuel S. Franco was born in Coyame, a northwestern state of Chihuahua, Mexico. He received a degree in Mining Engineering from the University of Chihuahua. After mining throughout Mexico for many years, Manuel became a full-time artist. Manuel’s Indian/Mexican heritage gave him the intuition and skill to create unforgettable images. Subject matter includes Still Life, Wildlife & Native American scenes, along with many landscapes of the American West, yet Franco has achieved international recognition in the field of Southwestern art. He creates in pencil, pastel, oil & bronze, but is most prolific in watercolor which allows him to paint fine details.